Richmond, VA – On Thursday, September 21, the greater Richmond region will celebrate Play Day RVA with activities throughout the area to celebrate the opportunities that exist to get out and play in our community. Dozens of employers, local governments, schools, and community organizations will participate by hosting events that integrate playful activities into daily life and spread awareness of the value of active living. Play Day RVA is presented as part of the Playful Region initiative to keep kids, families, and communities active, playing and healthy. 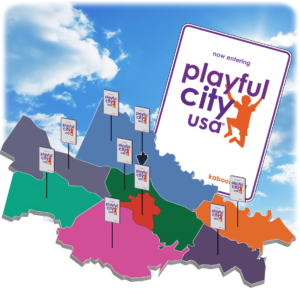 In June, each of the Richmond region’s nine jurisdictions became designated as a 2017 Playful City by KaBOOM!, a national non-profit organization dedicated to bringing balanced and active play into the daily lives of all kids. The coordinated effort by the region’s local governments made the Richmond region the first Playful Region in the country. The Capital Region Collaborative is working with community partners to leverage the designation to connect play to education outcomes, health statistics, and built environment plans. 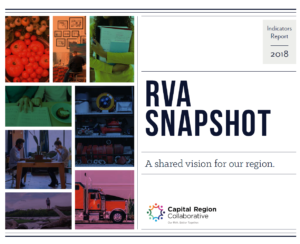 “We’re proud of the regional commitment to playability, a subject that connects across our region’s eight priority areas – from education and quality place, to the James River and healthy communities,” said Ashley Hall, Manager of the Capital Region Collaborative. On September 21, partners have agreed to create simple ways to get people up and moving for Play Day RVA and to share their experiences on social media using #PlayDayRVA. Planned events range from simply scheduling walking staff meetings to organized efforts to promote access to play in underserved communities. Additional employers or community organizations interested in hosting a Play Day RVA event are encouraged. To find out more about why play matters and Play Day RVA, as well as a list of public events and participating partners, please visit www.capitalregioncollaborative.com/play-day-rva/. News media outlets are requested to promote Play Day RVA through their community event calendars and social media up through and on September 21. Members of the media interested in covering the day-of activities are invited to contact Ashley Hall at the Capital Region Collaborative as noted above.